NOTE- Links are in BLUE. Dorianne and I had dinner at NAPA TAVERN in Westlake Village, CA, last night. It is a good restaurant with mostly Italian food, but no pastas – lots of grilled meats, fish, tapas, pizza, etc., in a fairly upscale setting. The wine list is good, but not extensive. I would say it is well-chosen, although with the name NAPA TAVERN, one might expect a larger list. We were each ordering a pizza – Margarita for me and Veggies and Goat Cheese for her – so we thought a lighter red would do the trick. 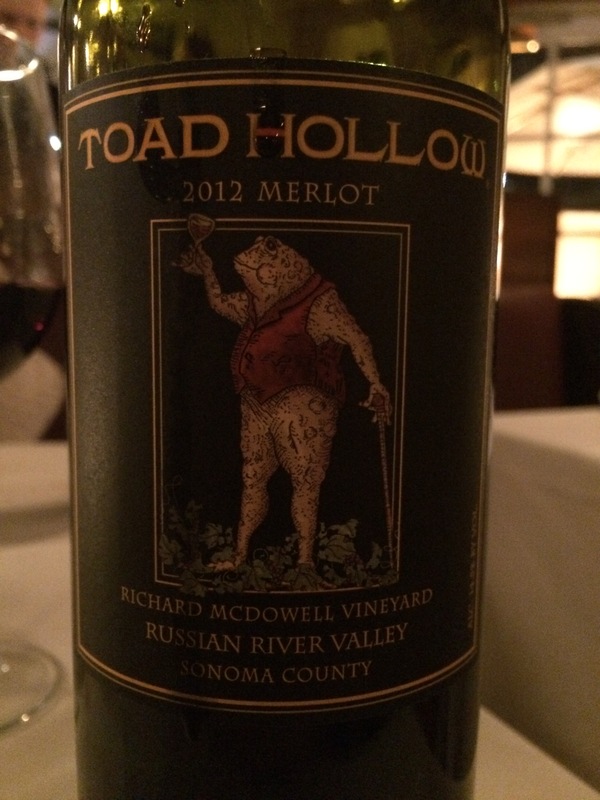 We ordered the 2012 TOAD HOLLOW MERLOT, a single vineyard wine from the Russian River Valley the second least-expensive Merlot on the list at $43. 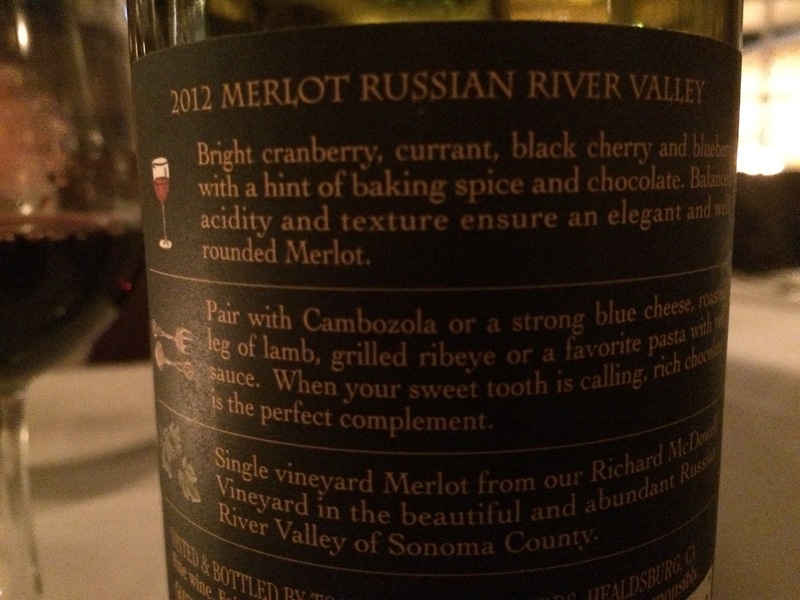 The wine was fruit-forward with a very nice nose and a very pleasant feel on the palate. Dorianne, of the amazing palate, liked the wine very much and declared that it was 14.5% alcohol, which was verified on the bottle. By the way, you can get this wine via AMAZON.COM (LINK)! So a nice wine with some very good pizza in a restaurant with a very good atmosphere – I’ll call that a good evening!